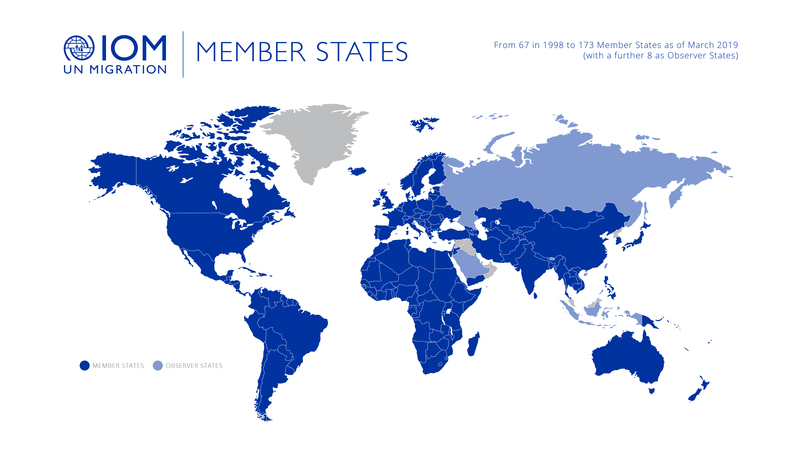 IOM membership is comprised of 173 Member States and 8 Observer States. IOM works closely with governments in promoting migration management that ensures humane and orderly migration that is beneficial to migrants and societies. Partnerships exist in several key areas between IOM and governments in Africa, Europe, the Americas, the Middle East, Asia and Oceania.